Other benefits such as death benefits, life insurance, disability, long-term care, etc., when provided separately from a pension plan. OPEB includes the direct payment of benefits (for example – LEOFF 1 medical benefits) and also explicit and implicit rate subsidies (for example – the state’s PEBB plan). An implicit rate subsidy is also referred to as a “blended premium rate.” It is caused by the inclusion of retirees in the same cost pool as active employees. As a result, retirees have the same premium rates as active employees and the rates for active employees implicitly subsidize the rates for retirees. This implicit subsidy is OPEB – even if retirees pay 100 percent of their premiums. OPEB does not include termination benefits or termination payments for compensated absences. 3.4.16.20 Do I provide OPEB benefits? Participating employers in the state’s Public Employees Benefits Board (PEBB) program. LEOFF 1 employers who pay the healthcare costs of LEOFF 1 retirees. Employers who pay all or part of their retirees’ healthcare premiums. Employers with employees who are members of OPEB plans that are not state or local government sponsored – example, a union sponsored defined contribution health plan. If you are uncertain about whether or not an arrangement qualifies as OPEB, please contact the SAO HelpDesk. 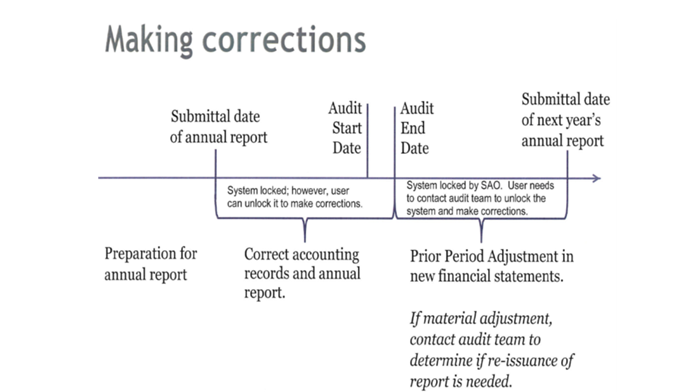 3.4.16.30 How do I report OPEB in my annual report to the SAO? 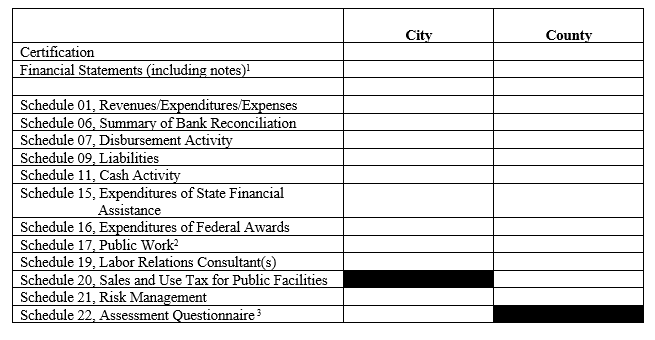 See the sample OPEB note disclosure for cash-basis local governments here. Unlike pension plans, most OPEB plans in the state are not centrally administered and there is no single actuarial valuation like the DRS PEFI for the state’s pension plans. The only way to determine an OPEB liability is through an individual employer actuarial valuation. 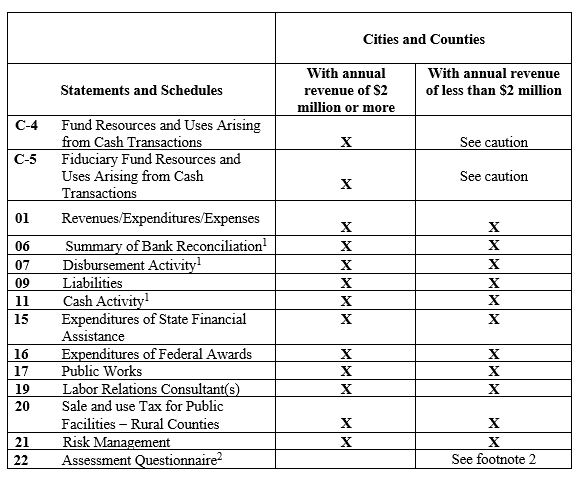 Due to cost considerations for local governments, the SAO will not require cash-basis local governments to calculate an OPEB liability for reporting year 2018. 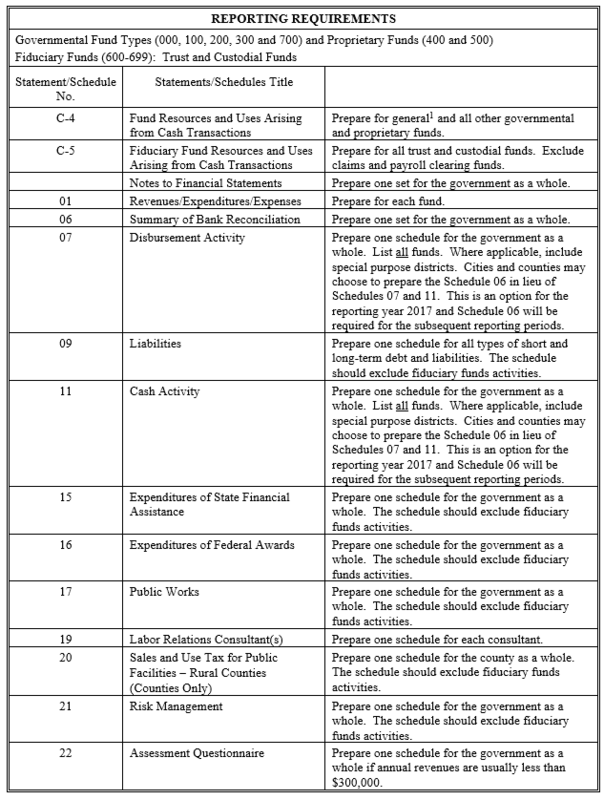 For future years, the SAO is researching ways for cash-basis local governments to cost-effectively determine their OPEB liability for reporting on the Schedule 09.